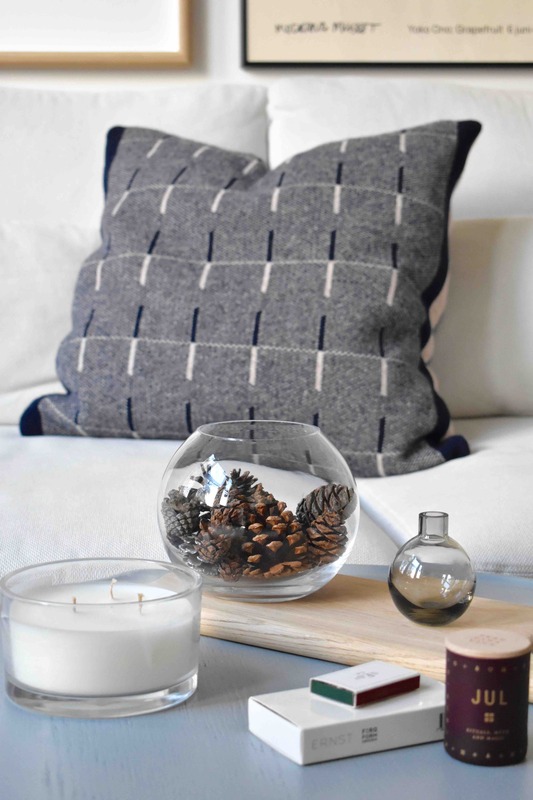 The Christmas season is upon us, which can only mean one thing: it’s time to update my home with all things comfy and cushy. Interior wise, this means plush cushions, comforting throws, mesmerizing candles. Wardrobe wise, it’s time to pull out the big autumn-trend shots, with chunky jumpers, knits, and big socks. That’s not forgetting slight adjustments to my skincare routine, adding in a touch of nurturing serum, hand cream, and lip balm, to keep dry skin at bay. Since I have been preparing for the season, I thought I would share with you some of my latest – and most amazing – discoveries. 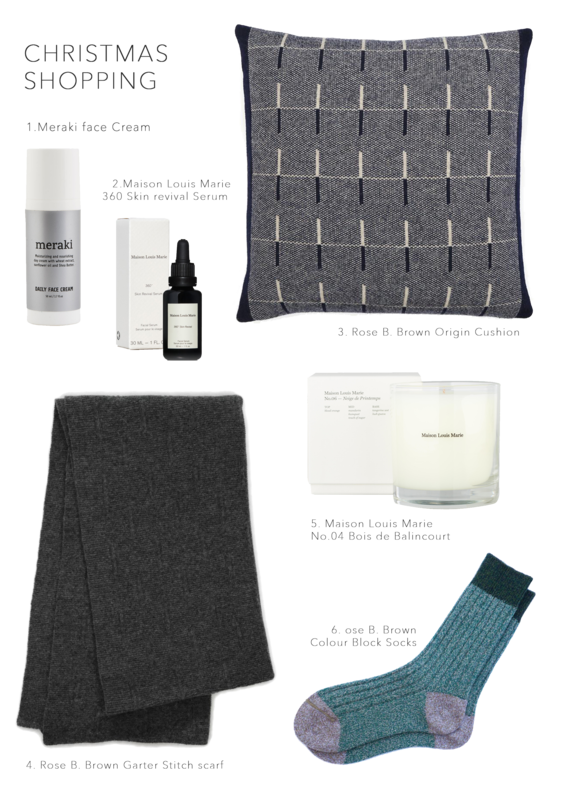 I unreservedly recommend these items as highly useful for yourself, as well as being winner Christmas gift ideas. With this in mind, I have been sure to carefully select products that I believe can be gifted to anyone, be it your mum, your best friend, or your uncle. 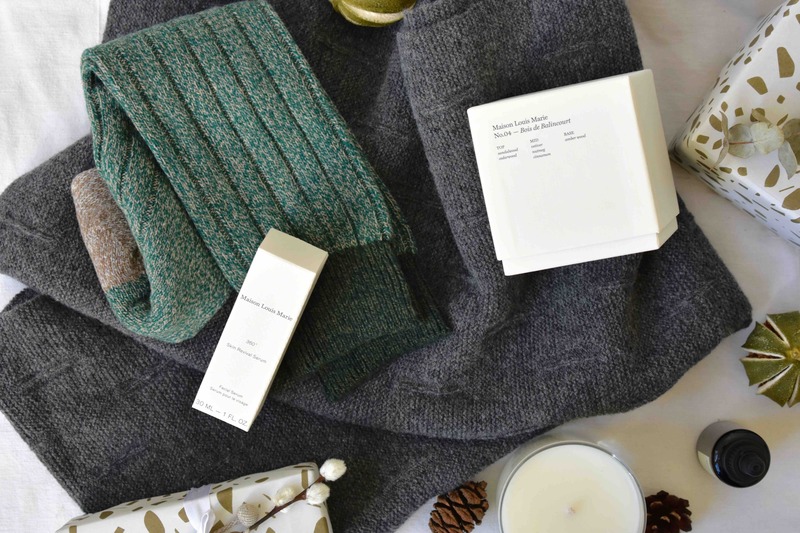 Personally, I buy products that I can share with my partner, and so unisex items, that can work for every person at every age, are a huge hit in my home. 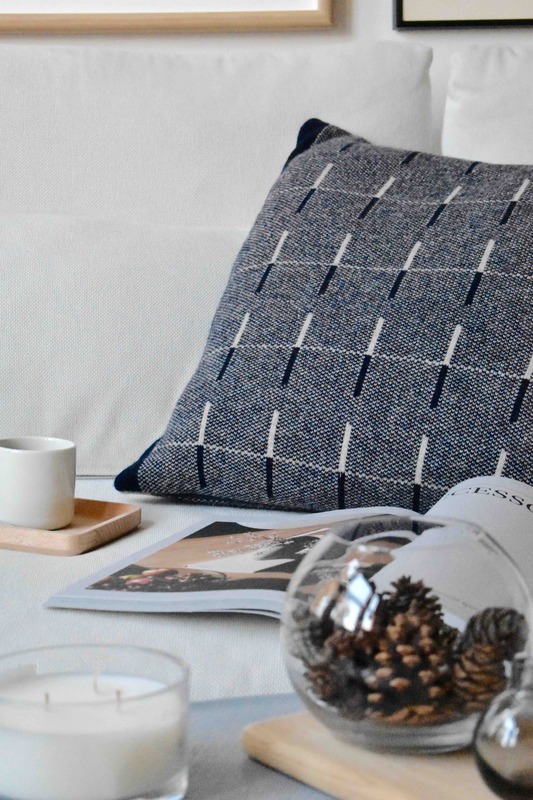 My first crush is this very comfy and beautiful merino wool Origin cushion by Rose B. Brown. 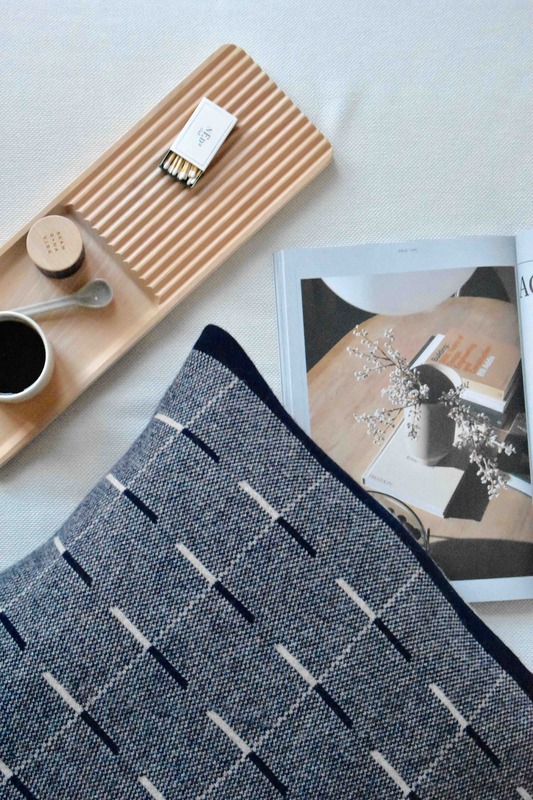 Its Bauhaus print and navy-blue geometric pattern in soft linen create a statement piece for your sofa. This high-quality cushion offers warmth and comfort that will be enjoyed by the whole family. If you are looking for beautiful winter warmer with an elegant touch, let me introduce the lovely Rose B. Brown collection. Rose B. Brown is a small independent brand based in Britain. 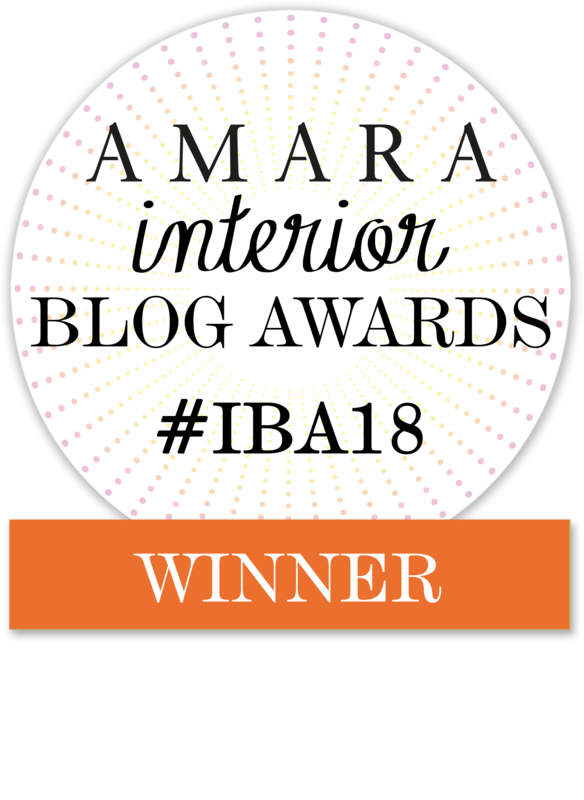 Rose has been working very closely with their small and skilled team for five years, and together they have formed a clear and concise understanding of the brand and the quality it stands for. With expert craftsmanship, this fashion brand offers a unique knitwear label with modern pieces. Scarves are a must during winter. Especially given that the windy London underground exits! A scarf is a present that is always perfect for everyone, so why not make it what I call a ‘Wow Gift’ with the Garter Stitch Scarf. I adore this oversized wool scarf; the grey is a safe timeless pick, but Rose also makes the piece pop with a touch of electric deep orange, which will add spice to your friends’ wardrobe for the cold season! Now, you can’t really go through a winter without tons of candles in your house. With notes of spiced cinnamon, pine tree, and gingerbread… any Christmas candles will add a little magic to your home. That said, this year I have discovered one which will make your home extra special for those festive nights! I don’t know about you, but I have a large collection of winter fluffy socks that I use as slippers all year round. The Rose B Brown socks collection is available in snuggly soft winter colours that are to die for. 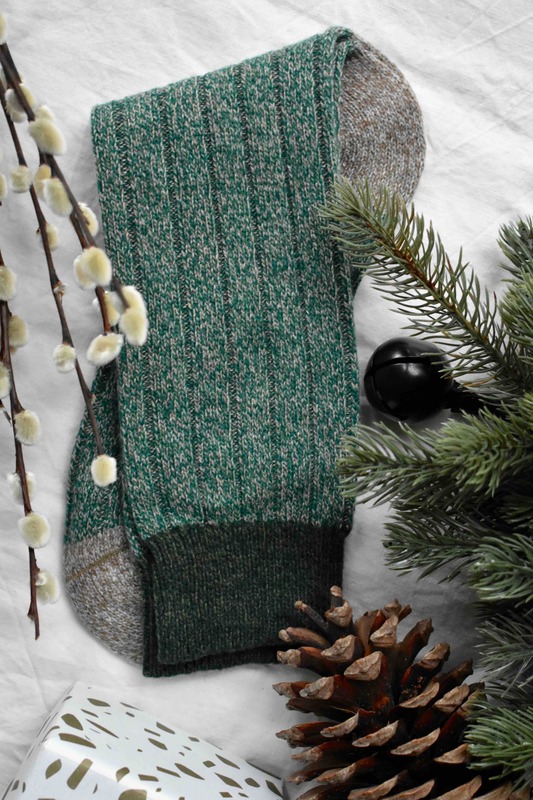 If, like me, you tend to borrow your lover’s soft socks for the winter’s nights, simply replace them with this forest green pair (to borrow back again later). 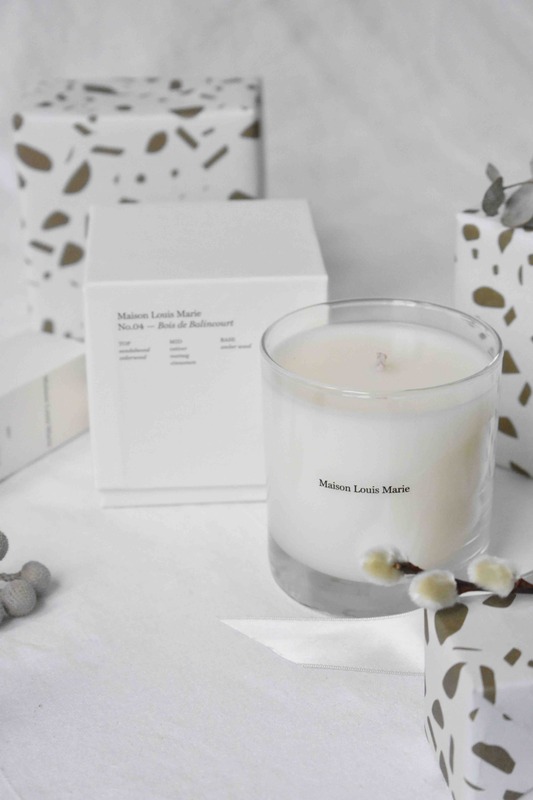 Maison Louis Marie is an iconic French brand that develops the finest quality delicate scents and beauty products, proudly promoting eco-friendly products that will whisk you away. Their No. 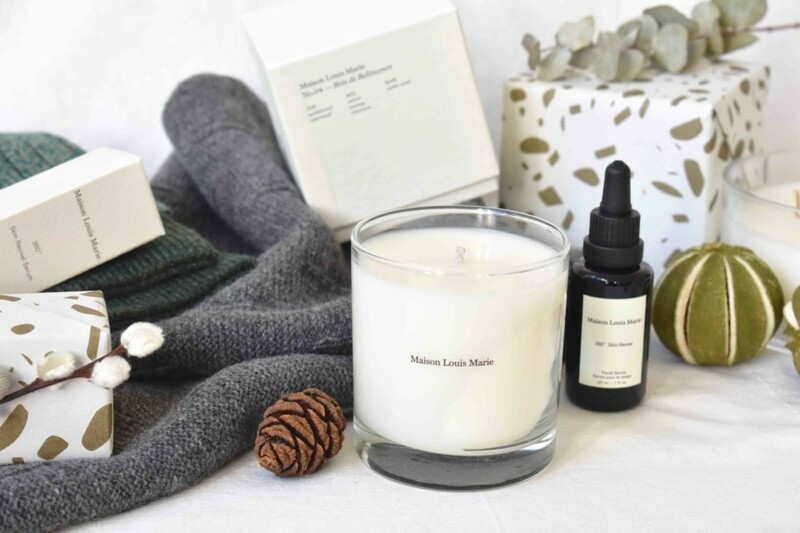 04 Bois de Balincourt Candle is an incredible time bomb of memories and elegance, with a top note of sandalwood and cedarwood and a base of amber. This woody decadent scent reminds me of Parisian luxurious interiors fused with a feminine strength. It truly is a stunning present, and you will be sure to create fabulous memories with this divine background! Call me prepared, but I have already packed my bathroom cabinet and my bags with extra serums, hand cream, and lip balm, as my skin is so sensitive. It’s so important that I give it the extra care it so desperately needs during the harsh weather. 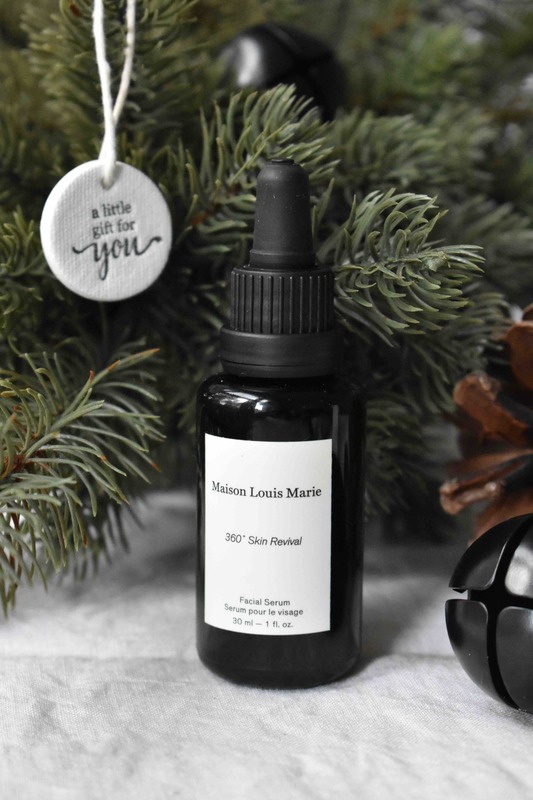 My ultimate discovery this year has to be the 360 Skin Revival Serum by Maison Louis Marie. It’s free from all the nasties and contains an abundance of rich oils, packed with luxurious antioxidants. It helps renew the cells in your skin while giving it strength. 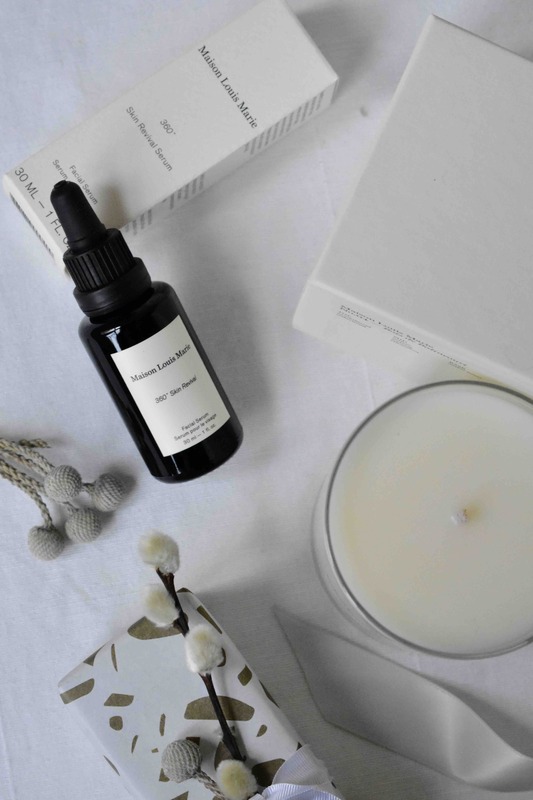 The serum is notably nourishing without leaving any oily feeling; it’s perfect to deeply moisturise and pump the skin and helps a lot with the small wrinkles around my eyes! I believe serum is the most important tool in any skincare routine. It’s the step that will feed the skin and help keep it bright and glowing! Men and women alike should use one everyday. 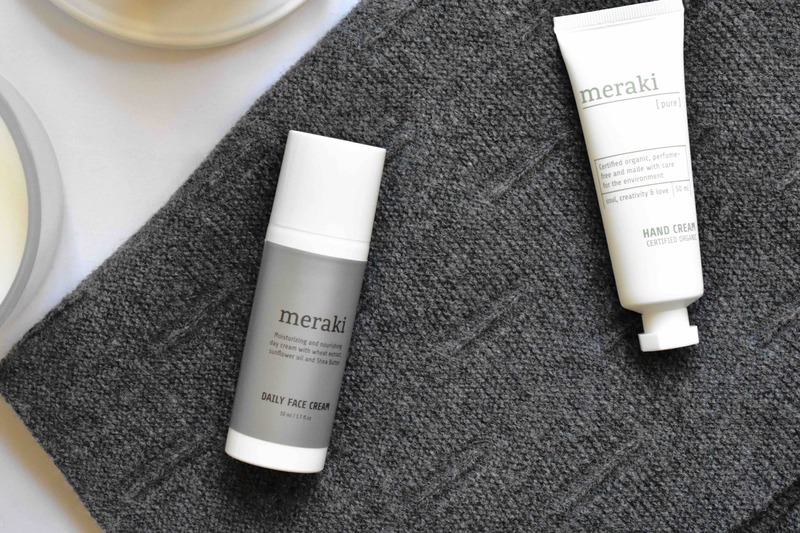 Meraki also offers perfect winter comfort with their rich daily face cream. The cream strengthens your skin’s natural elasticity and minimises the fine lines and wrinkles that are signs of ageing. This face cream contains wheat extract, sunflower oil and Shea Butte that adds moisture and care to your skin.